When it comes to fencing sales, Matzik Fence Company is the best choice. From ornamental aluminum to chain-link, we have you covered for a wide range of fencing products. Sales and installation are available for clients throughout the King of Prussia and Phoenixville, Pennsylvania areas. We are proud to be an authorized dealer of Jerith ornamental aluminum fences and Country Estate vinyl fencing. 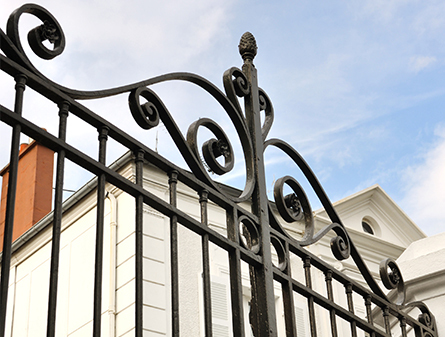 Jerith was the original manufacturer of ornamental aluminum fences, and they are manufactured in the USA. They offer a lifetime warranty on materials that is transferable if you sell your home. Country Estate is the best choice when you need vinyl fencing. Their products are guaranteed and warranted for 50 years from the date of installation. We have used these manufacturers the entire time that we have been in business—more than three decades!